Petal Talk: It Takes a Garden for a Full Arrangement. It Takes a Garden for a Full Arrangement. It would be too late for my peonies, I thought when I volunteered to provide arrangements for my niece's wedding. But I knew I could order some from a grower in Michigan, which is what I did. I could buy flowers from other local growers to add color to the two dozen white peonies that will arrive two days before the wedding. I also figure I could fill in with flowers from my own garden. But then the temperatures spiked and chaos ensued. Not chaos on the floral level--they all just do what they do in the heat, which is cycle through their bud-bloom-blast stage quickly--very quickly. 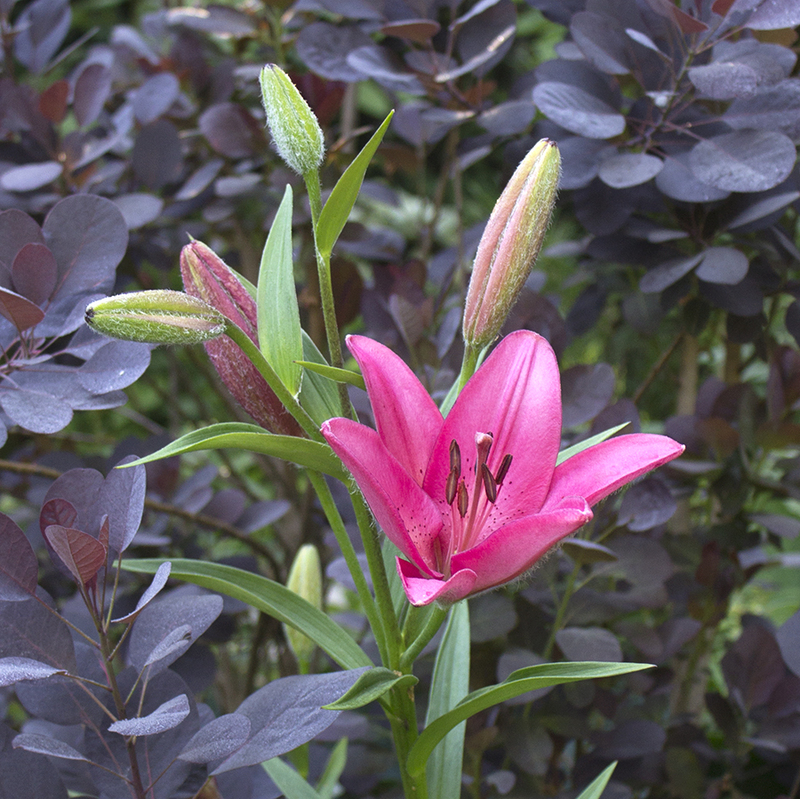 When the deep pink lilies began to open, I figured they would make a great accompaniment to the peonies. 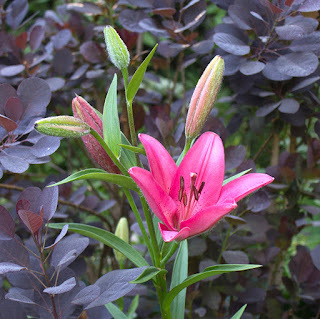 But just a week after they started to bloom, they're pretty much finished. No problem, I thought. There are plenty of Astilbe. But even those have been uncooperative, with the early ones browning up already and the later varieties looking as if they won't be open enough to be popped into the vases for vertical accents. In addition to the two dozen white peonies, I purchased two dozen pink spray roses, but filled in from my garden with my own peonies that I'd stored in my refrigerator, Itea, seed pods from Oriental poppies, Hydrangeas, foliage of Baptisia, Clematis, ferns, and a few pale pink Astilbe. 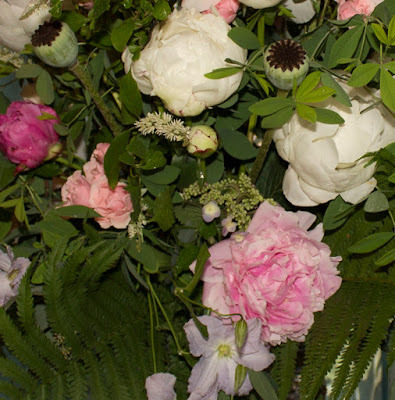 There are probably a few I can't remember, but all manner of white, pink, pale purple, silvery and green plant stems were used in two large, one medium and two small arrangements. The day before the wedding I spent four hours putting the arrangements together and enjoying the heck out of the process. The most difficult part was finding storage in a cool area of the house and then transporting them the next day. All turned out quite well, considering it was like creating a painting with just a few color choices.